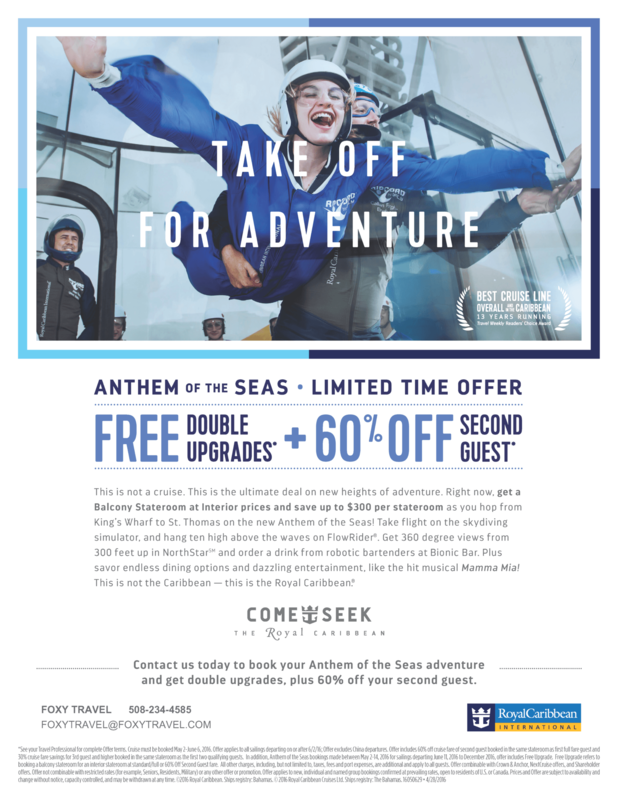 Contact us today to book your Anthem of the Seas adventure and get double upgrades, plus 60% off your second guest! This is not a cruise. This is the ultimate deal on new heights of adventure. 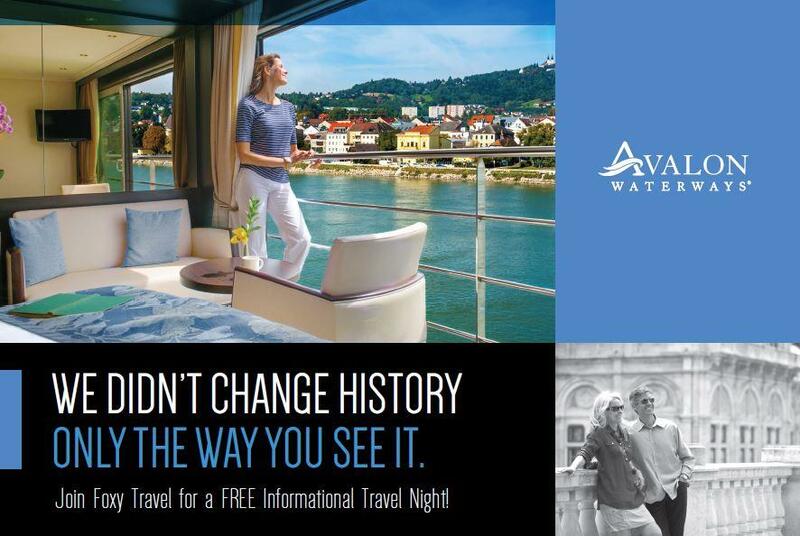 Right now, get a Balcony Stateroom at Interior prices and save up to $300 per stateroom as you hop from King’s Wharf to St. Thomas on the new Anthem of the Seas! Take flight on the skydiving simulator, and hang ten high above the waves on FlowRider®. Get 360 degree views from 300 feet up in NorthStar and order a drink from robotic bar tenders at Bionic Bar. Plus savor endless dining options and dazzling entertainment, like the hit musical Mamma Mia!